I always seem to have something to say within the confines of a tree. 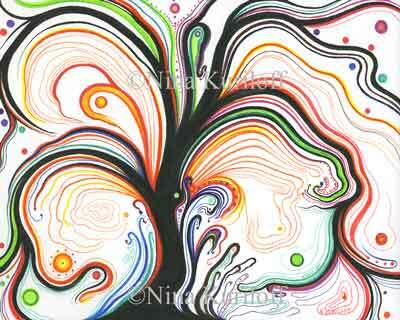 This particular drawing, that is part of my ongoing series of Fantasy Trees is called "Swirling Branches." I feel the branches are mostly warm in color, and perhaps exude a feeling of warmth. This drawing measures 8 x 10 inches and will fit into a standard size frame. I have it for sale on Etsy as a giclee print here.